3- Direct Army Bharti in Raj Rif Center, Delhi dcantt on 20 to 24 April 2015 for Soldier, TDN, Clerk . 6- Open Army Bharti in Kumaon Regiment Center, Ranikhet on 07 to 09 April 2015 for Soldier, TDN, Clerk 9. 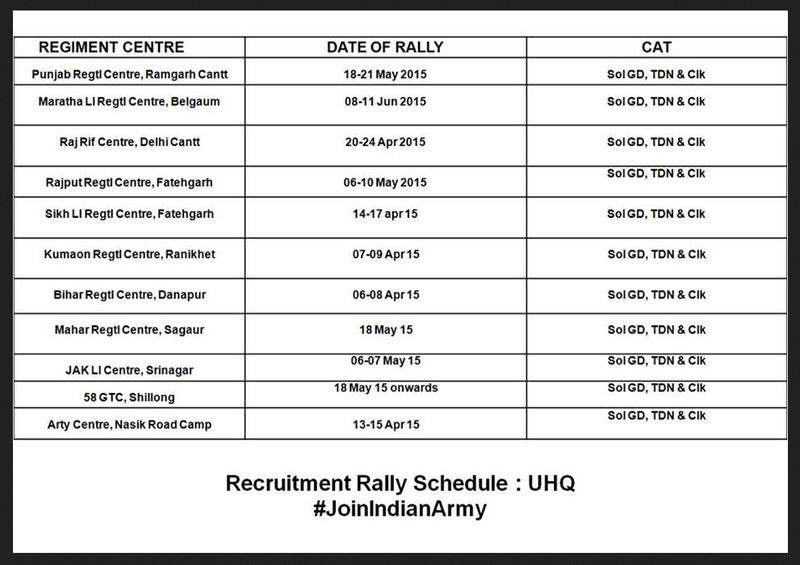 Army Bharti Recruitment Rally Schedule. Army Bharti Rally dates, Latest Army Bharti Date. ARMY KI OPEN REALLY BHARTI KB SE H.